If trucks were teenagers, the Ford F150 would be the 6-foot tall blonde quarterback, the RAM 1500 would be the hallway bully, and the Chevy Silverado 1500 would be the aspiring bodybuilder, spending his lunch breaks pumping iron in the school’s gym in hopes of out-muscling all the other jocks. Then, you’d have the small/medium trucks. They would be the skinny geeks; highly intelligent and competent, but shy, and understated teenagers who’d prefer spending their evenings competing against each other in a tournament of Starcraft rather than flex their brawn to impress the ladies. And lastly, you’d have the Honda Ridgeline. It would be a carefree, overachieving, tattooed and pierced, skateboarding little brat who would speak with an overwhelming sense of self-confidence the moment he opens his mouth, and who, when the bullies would attempt to catch him, would somehow find a way to outsmart them with his wits – and his skateboard. Welcome everyone, to the truck that doesn’t give a crap about the other trucks. By Definition, What is a Truck? Honda believes that a truck isn’t defined by the way it is designed, but by what it can actually do. By definition, or, if you were to ask truck people, a truck must first check off a series of criteria to be even considered a truck in the first place. First, a truck, especially a pickup, must have an actual frame, or what us car-geeks like to call: a body-on-frame construction. Essentially, what that means is that the truck’s body sits on top some sort of steel structure, very much like the cars our parents would drive around in, so that it doesn’t rip in half the moment you start pulling that fishing boat out of the water. Second, a truck’s rear suspension must ideally have a leaf spring setup to allow it to carry more than just an IKEA bookshelf in its bed. Lastly, a truck must above all, have a rear-wheel drive bias configuration, with a longitudinally mounted engine, an actual driveshaft, and a 4×4 system comprised of some sort of differential locking mechanism. This, of course, allows the truck to crawl out of areas where most vehicles would simple bog in and die. The 2017 Honda Ridgeline has none of that. Nope. Honda’s midsize pickup doesn’t even have a frame. Instead, it uses a uni-body construction shared with the Honda Pilot crossover, and, um, the Odyssey minivan (giggles inside). Then, just to add that special Honda icing on the cake, it’s powered by the same V6 engine found in the Accord, which is, you guessed it, mounted transversely, giving the Ridgeline a FRONT-wheel drive bias (oh god) configuration. Locking diffs? Who needs them? So, what exactly are we supposed to make of this thing? At least, Honda has made its trucklet look like a truck this time around. 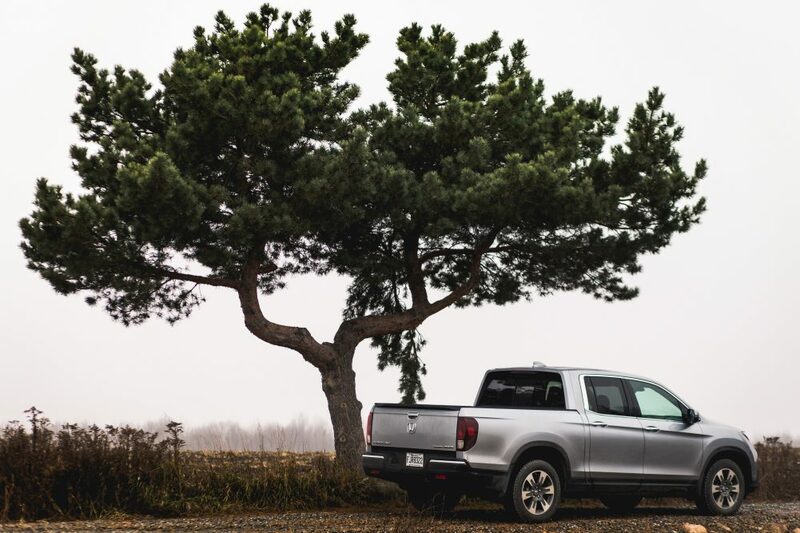 Unlike the first generation Ridgeline which looked outright goofy with its wide C pillars that sloped to the high side cargo bed, the 2017 Ridgeline has been entirely restyled from the ground up to look more masculine and, well truckish. The C-pillars are now much narrower and nearly vertical. Honda even added a seam between the cab and the bed to mimic a body-on-frame pickup (lol). 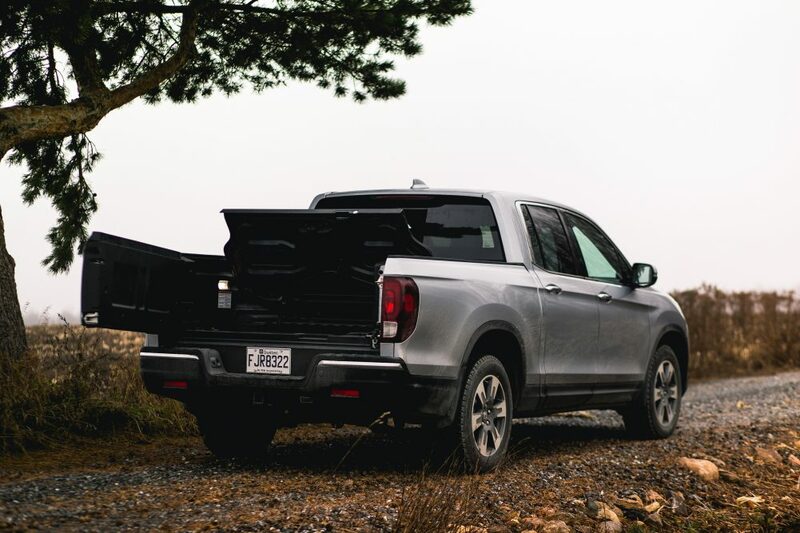 Up front, it’s essentially the same “love it or hate it” Honda maw as on the Pilot, but from the rear doors to the back, this new Ridgeline’s clean and straight lines give it a more dominant presence. In the end, I must say, this comes through as a very attractive little utility vehicle – no matter its design. It doesn’t. Trust me. Because not everyone needs a 10 000 lb towing capacity. Some people, a lot of people, simply want a crossover with a bed to haul around dirt bikes, rocks, or tow an Acura NSX from one garage to another. And the Honda Ridgeline can do all of that perfectly fine. Towing capacity is at a respectable 5 000 lb, which, I know, is lower than both a Toyota Tacoma or Chevrolet Colorado. But, get this: the Ridgeline has a payload capacity of 1499 lb, outperforming both the Nissan Frontier and Toyota Tacoma. That’s also just 79 lb under the class-leading Chevy Colorado / GMC Canyon. And power isn’t an issue either. Even if it drives the front wheels first, Honda’s 3.5 L direct-injection V6, essentially the same fantastic unit that powers the Acura TLX I tested on the track a few weeks ago, has absolutely no difficulty moving this 4423 lb truck around. In this application, it’s good for 280 hp and 262 lb-ft of torque. Another big plus is the transmission that’s bolted onto it. 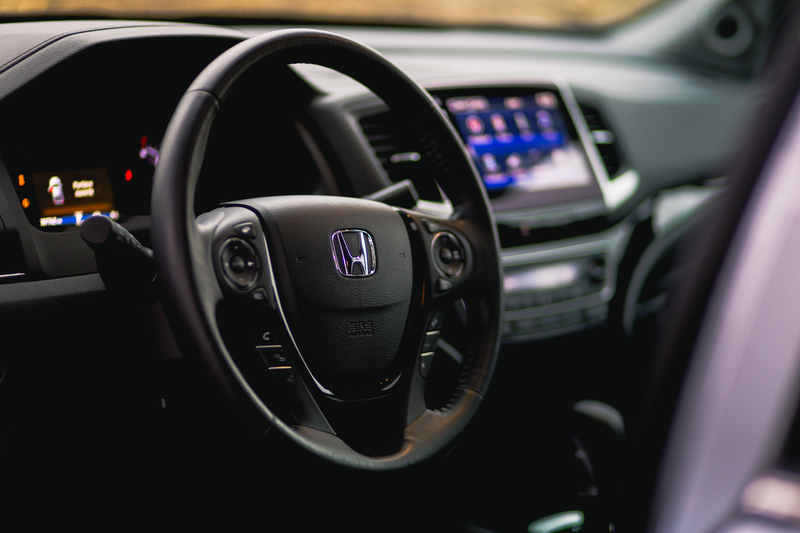 Honda didn’t revert to the controversial ZF-sourced 9-speed automatic as in the TLX or Pilot. 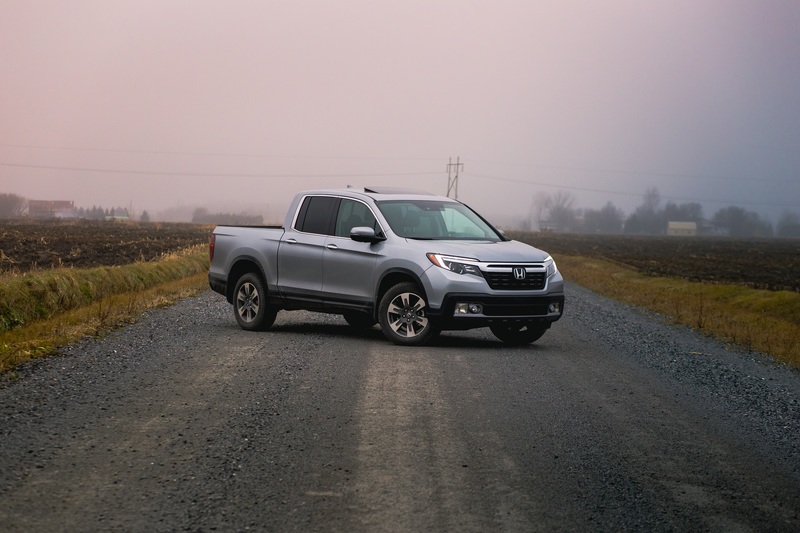 Instead, the Ridgeline is fitted with Honda’s very own, and frankly brilliant 6-speed automatic, which makes a lot more sense. All of this allows the Ridgeline to get off the line faster than all of its mid-size competitors in a swift 6.6 second sprint to 100 km/h. 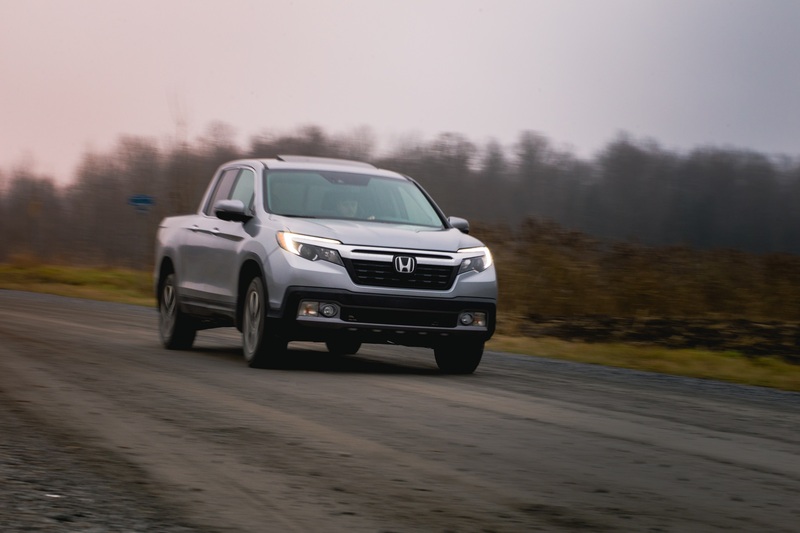 The Ridgeline will also return a satisfying engine note through its cabin as its most aggressive cam profile kicks in around 5000 rpm – because VTEC. Unfortunately, like in other applications, the V6 mostly revs. 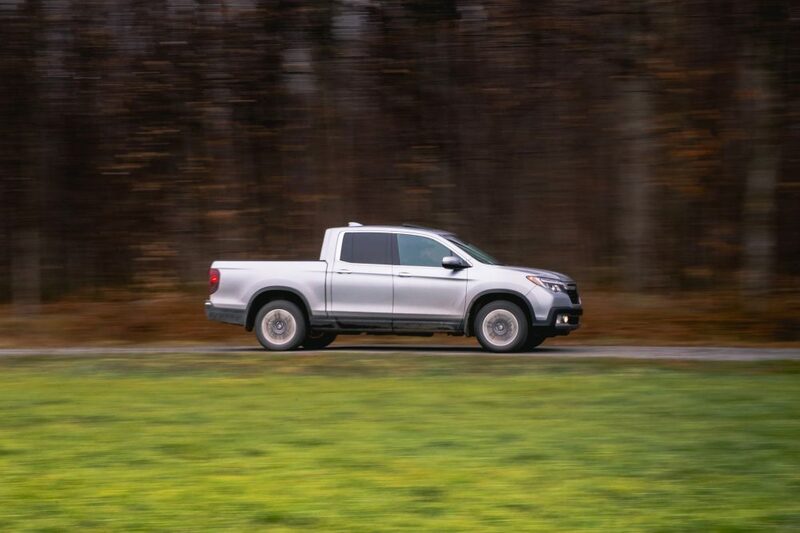 Despite how appealing the idea of a high-revving, Acura Integra-like barking engine is in a truck, the lack of low-end torque doesn’t make the Ridgeline feel very brawny behind the wheel. 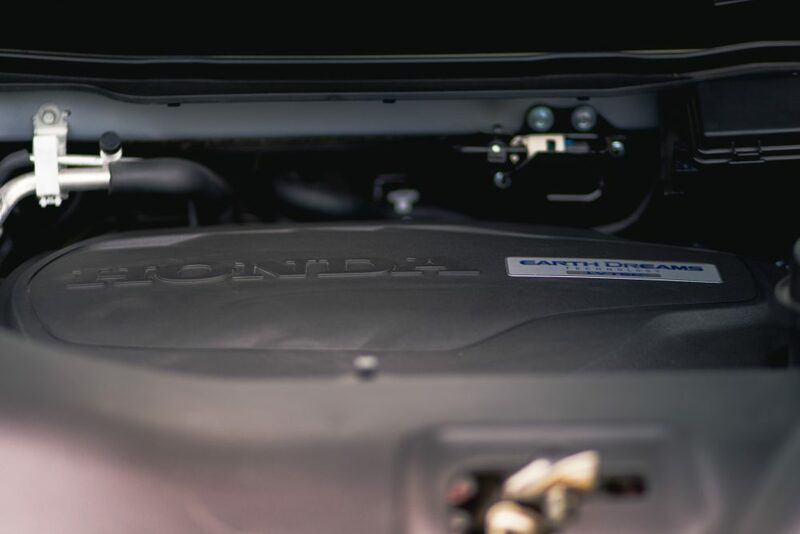 In fact, the Ridgeline’s engine has the lowest torque figures in the segment, which is probably the reason why its towing capacity lags behind. 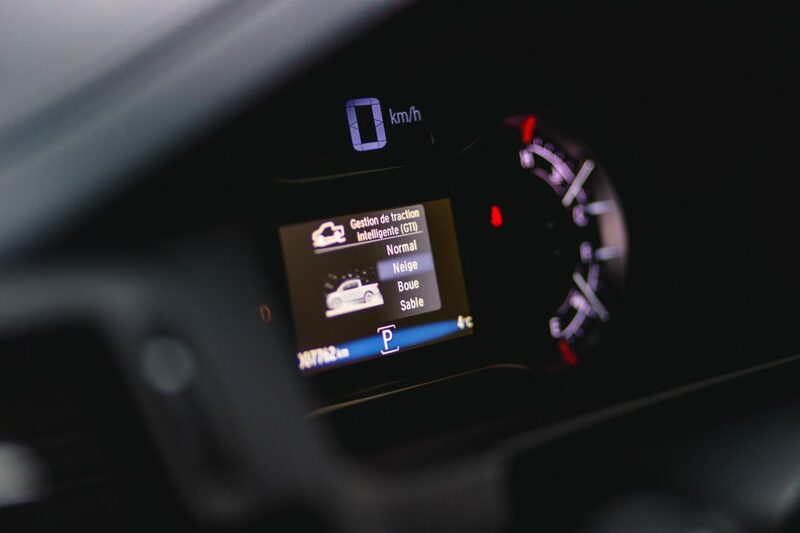 There are also a variety of driving modes to choose from, depending on which surface you’re driving on. 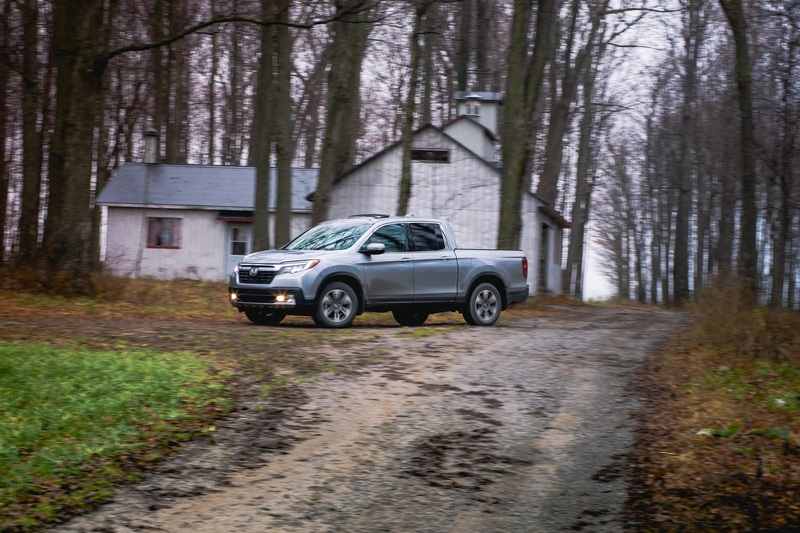 Each of them radically alters the Ridgeline’s transmission, engine, and AWD settings to the point where you actually feel the entire truck changing personality with each setting. It’s very clever and effective. The fact that this thing is based on a car, and not a truck, is really where the Ridgeline has its competitors totally smoked. One of the benefits of having a car like construction is that it gives the Ridgeline one of the smoothest rides I have every experienced in any truck. We’re talking Accord-like smoothness here. Also, it’s actually a hell of a lot of fun to drive, with bizarrely quick steering, instant throttle response and a chassis that never quirks when entering a corner too fast. 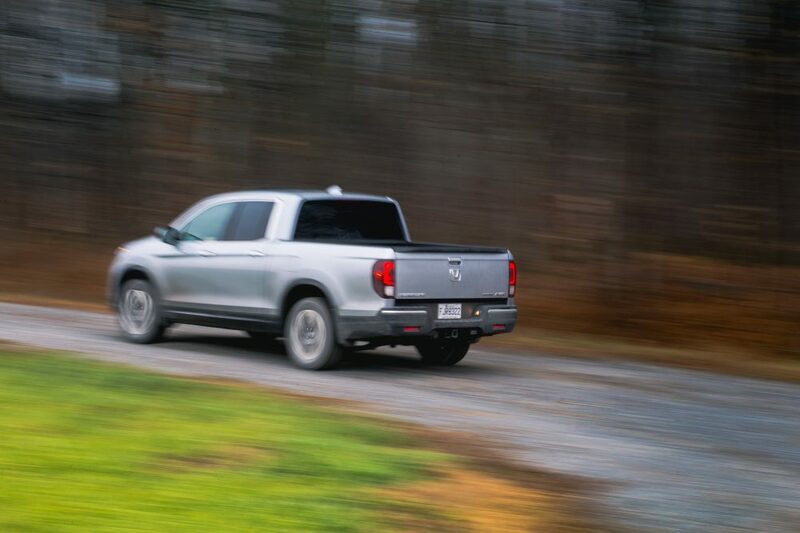 Unlike conventional trucks, which feel like they’ll tip over when submitted to excessive lateral forces, the Ridgeline exhibits very little body roll and will eat up corners like your next mid-size sports sedan. It also feels much stiffer overall than the traditional jiggly body-on-frame pickups we’ve all grown up with. Then, there’s all the clever Honda engineering greatness injected into it. 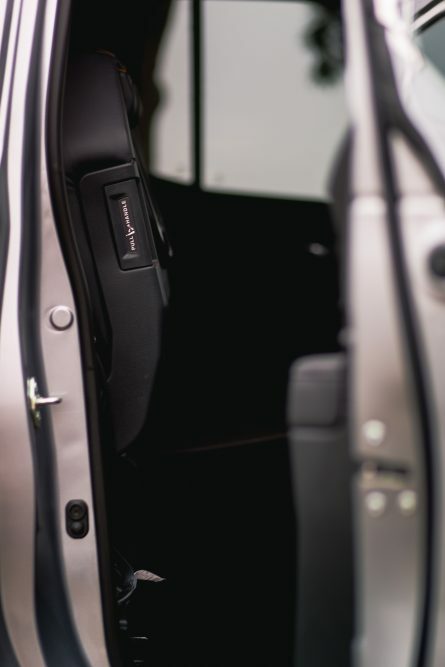 Like in the Honda Fit, the rear seats in the Ridgeline can be raised, giving access to a humongous amount of cargo space, allowing you to carry a fully assembled bicycle or a dog without fear of ruining the seat fabric. Finally, there’s the overall packaging of the thing. There are clever storage bins located all over the cabin. And that bed, not only does its tailgate also open like a door; it also has a witty storage compartment fitted into it that not only offers the same cargo space as in a mid-size sedan’s trunk, but also comes with a built-in drain. Should be a hit during that next fishing trip with the boys. I think my only gripe with the Ridgeline is Honda’s famous button-less infotainment system. It not only remains a disaster in overall ergonomics, but continues to confuse its users with laggy and unintuitive menus and basic controls that are hard to get to. Prices for the 2017 Honda Ridgeline start at $38 471 and top out at $50 471 (!!) for a Touring model like my tester; which is, let’s face it, not cheap. Touring will add to your Ridgeline the same creature comforts and cool safety tech as in any other Honda vehicle, such as leather seats, adaptive cruise control with lane watch assist – which I must say is probably the best system of the kind I’ve encountered so far. 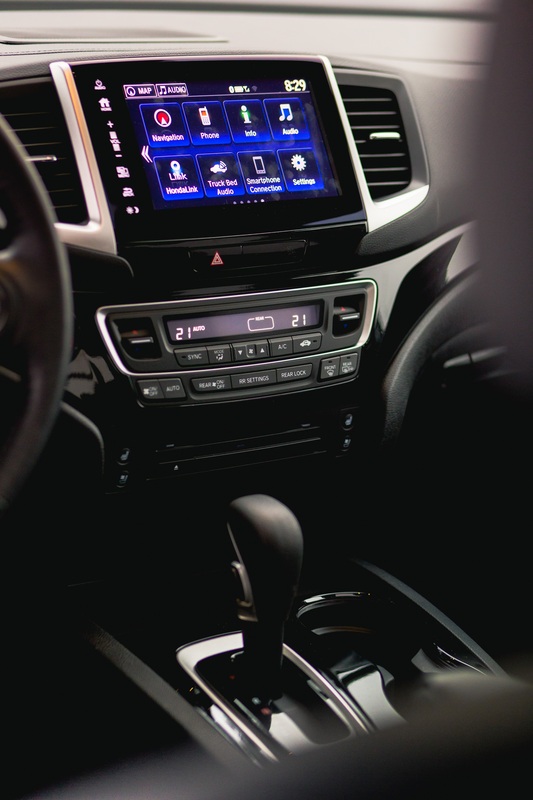 Other toys include cross-traffic monitoring, a braking mitigation system with automatic braking, navigation, and Android Auto / Apple Carplay connectivity. Unfortunately, the 2017 Honda Ridgeline can only be ordered with one bed and cab configuration, which limits the customization aspect compared to its competitors, preventing buyers from buying a basic, no-frills, affordable Ridgeline. That said, the Ridgeline is essentially an expensive toy with a tailgate. 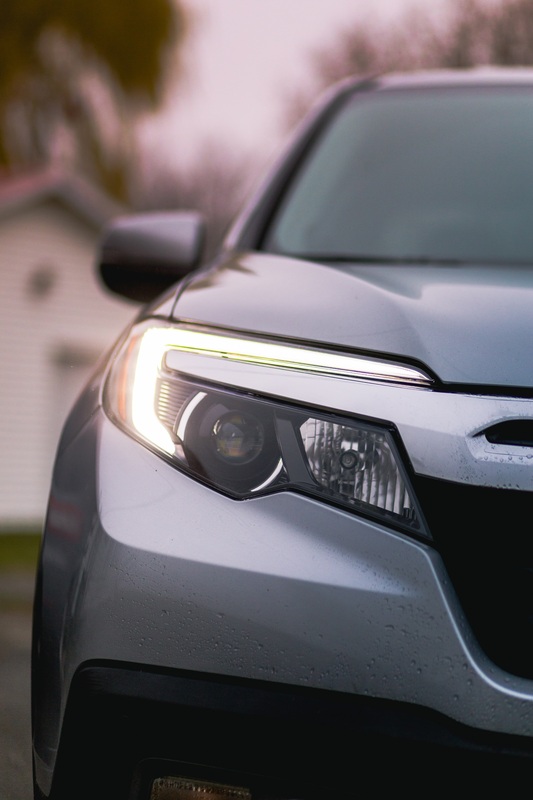 But if you factor in its everyday usability, stellar Honda reliability, and unmatched utility in the segment, it shines through as a unique and compelling utility vehicle that can stand its own ground. 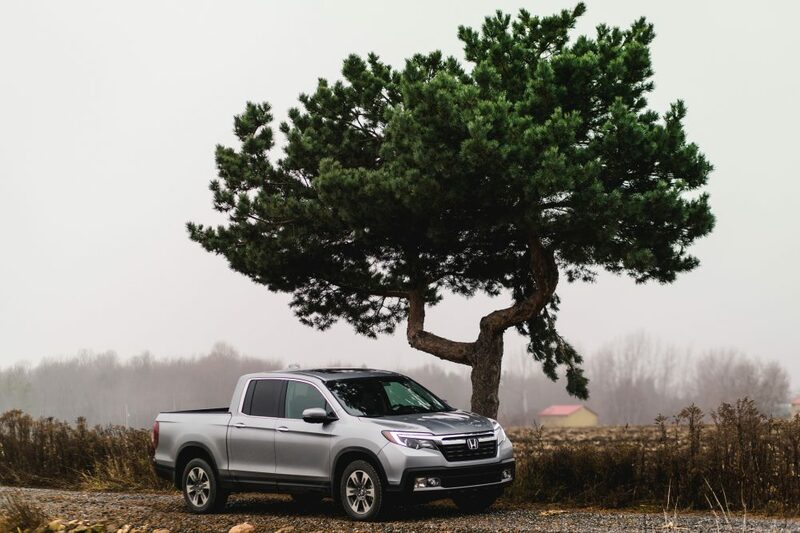 Call it what you will, the charm of the 2017 Honda Ridgeline lies in the fact that it dares to challenge the status quo while giving a spanking to well-established competitors. Who would have thought that unassuming skater boy would get so far in life? + Smooth and spirited carlike handling. – Lowest towing capacity in the segment. – Lack of low end torque from V6 engine. – Unintitive and confusing infotainment system. Excellent article! Great collection of images!